This morning we had a special assembly with visitors from Havering Library Service to celebrate all of the children who completed the Big Friendly Reading Challenge over the summer holidays. We had 47 children who completed the challenge - Havering overall had 2,368. 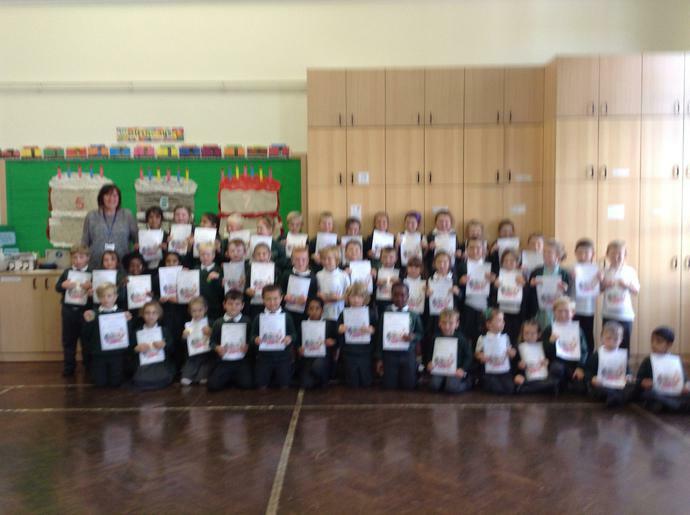 Every child who completed the challenge received a certificate and a medal. Well done!